Home / Pet Shade Covers / Pet Shade Panels – 10′ x 10′ ft.
Pet Shade Panels – 10′ x 10′ ft.
Our shade panels provide the necessary shade to protect your pet from the intense Sun, Rain, Winds and Snow. Using the pre-sized mesh panels will give the protection that you need. 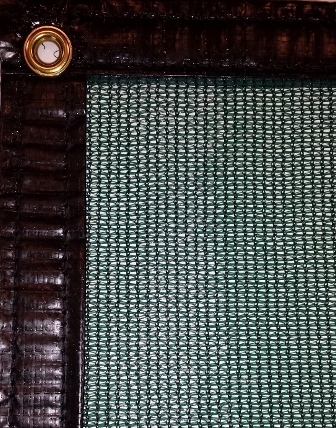 Each panel has sewn bindings and grommets to secure to your fence or structure. Our shade panels and covers provide the necessary shade to protect your pet from the intense Sun, Rain, Winds and Snow. Our covers are made from Solid UV Stabilized Woven Polyethylene Mesh with a 70% – 80% shade factor. 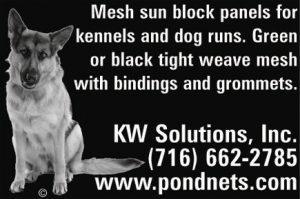 This UV coated tight weave mesh will give your pet a cooler place to go while outside. When you use our Pet Shade Panels on a side fence it will reduce the wind speeds and chills in the kennel and dog runs. All of our Pet Shade Panels are cut and sewn in the USA. Each panel has a sewn reinforced binding around the outside edges for strength. Also heavy duty brass grommets are placed every 2 feet. Installation is very easy to do for the homeowner. Using the enclosed wire ties, start at one corner and zip tie it to the fencing. Pull the other corners tight and install the wire ties on the remaining grommets. You may also upgrade to the Heavy Duty Hook and Loop tie downs sold on our site. Custom sized shade panels can be ordered in any shape and size. Call us or e-mail us for pricing on all custom sizes. Pet Shade Panels – 10′ x 12′ ft.
Pet Shade Panels – 10′ x 14′ ft.
Pet Shade Panels – 4′ x 8′ ft. These nets are not to be used as a safety net or cover to prevent access or injury due to trespass or inappropriate use. All nets are designed for leaf and debris capture only.